The phone ride won’t be long. Our next stop is MoM. We wanna wish you all the best. We’re all the justice that you need. We’re on your side until you double cross us all. are order from chaos. 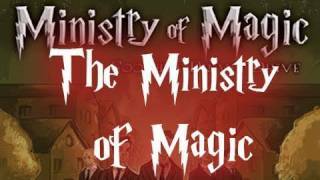 We are Ministry of Magic! Why must you run? Your time here has just begun. This is a dangerous group that we’re dealing with now.